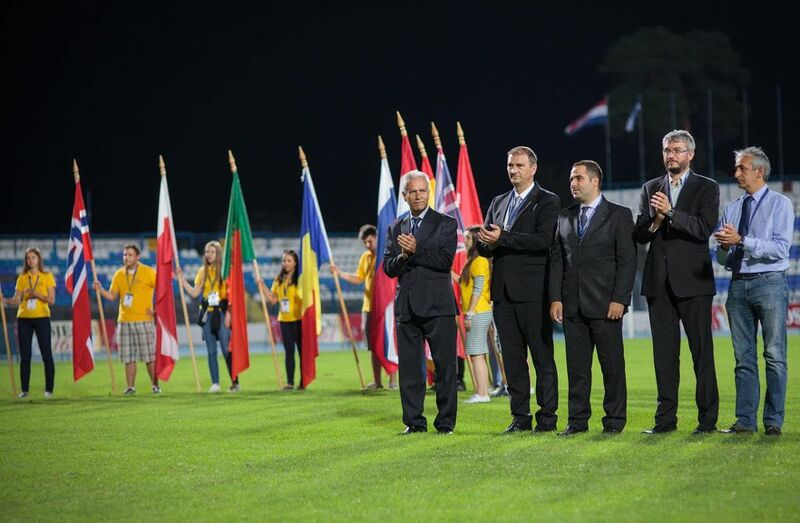 After the finals, the 11th European Universities Football Championship finished on July 28 with the official Closing Ceremony at the Gradski vrt Stadium in Osijek, Croatia. Over 500 participants representing 19 male and female university teams from 12 countries took part in this year’s edition of the event. The event attracted attention and interest for the spectators and local media. 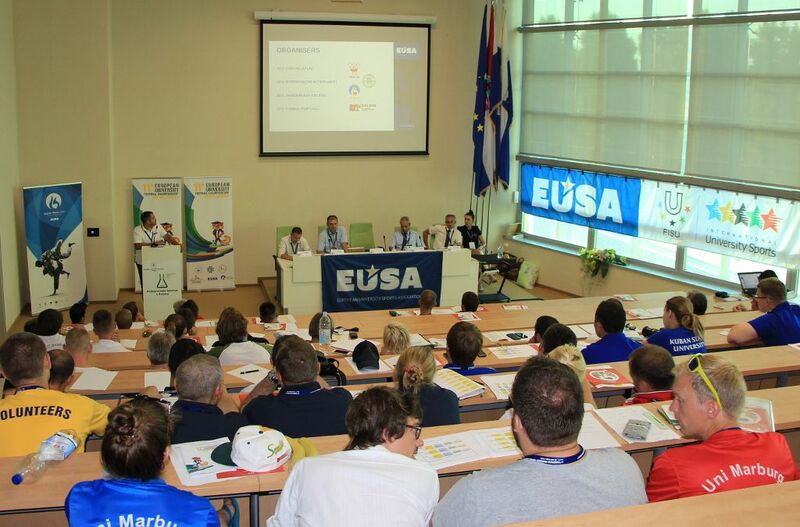 Organisers of the next EUSA Games also took the opportunity to attend the event and promote the 2016 European Universities Games Zagreb-Rijeka. 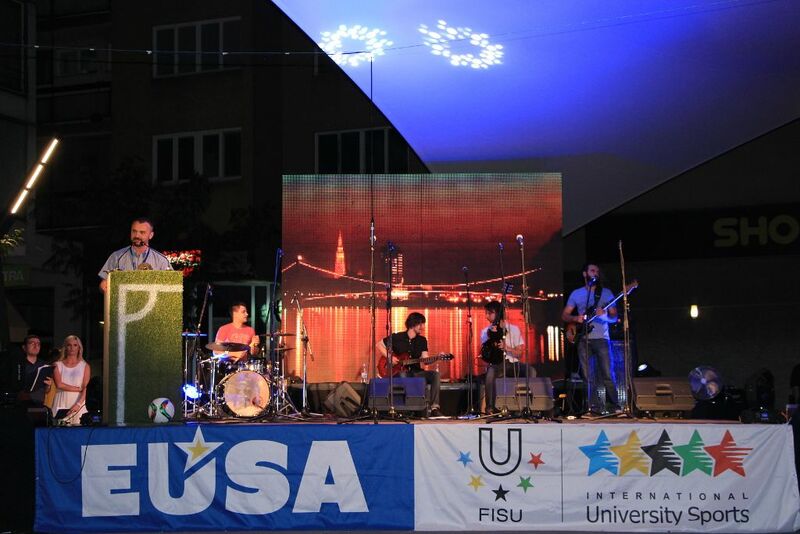 The Opening Ceremony of the 11th European Universities Football Championship took place on July 22 at the Freedom Square in Osijek, Croatia. The ceremony was attended by the deputy mayor of the town of Osijek Vladimir Ham, as well as president of Osjecko-Baranjska County Vladimir Sisljagic, Rector of the University of Osijek prof. dr Zeljko Turkalj, former Croatian waterpolo player and current member of the Croatian Olympic Committee Tomislav Paskvalin and Mr Zrinko Custonjia, President of the Croatian Academic Sports Federation and representative of the President of the Republic of Croatia, along with other guests. Participants were welcomed by Mr Drago Jagar, Organizing Committee President and EUSA Executive Committee member Mr Bruno Barracosa. They welcomed all participants and wished all the teams and participants who came to test their skills and abilities great competitions and all the best. The event was organized by the University of Josip Juraj Strossmayer in Osijek and Croatian Academic Sports Federation, with contribution of and City of Osijek, Croatian Football Association and of the Osječko - Baranjska county. 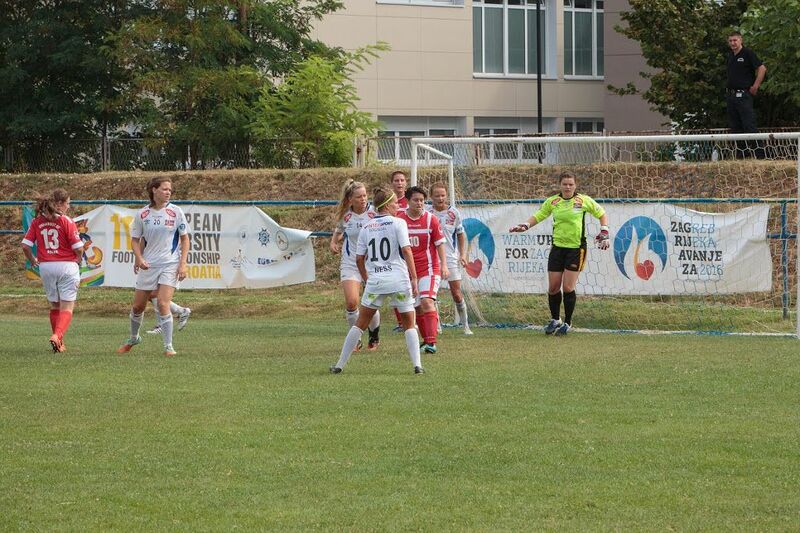 The Championship took place between July 21 and 28, at the occasion of 40th anniversary of the University of Osijek, as well as more than three hundred years of higher education tradition in the city. The main goal set forth as strategic for the organization of the event was the promotion of the University and the development of student sport on the University of Josip Juraj Strossmayer, and in Croatia. The European University Sports Association (EUSA) was represented by Mr Bruno Barracosa and the Technical Delegates Mr Antonis Petrou and Mr Andreas Demetriou. 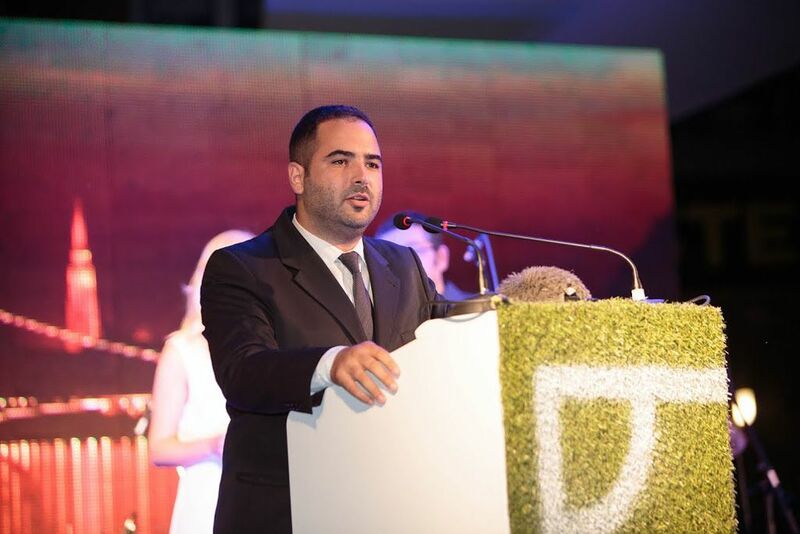 In close cooperation with the local organisers, they ensured that the event ran smoothly and without problems. 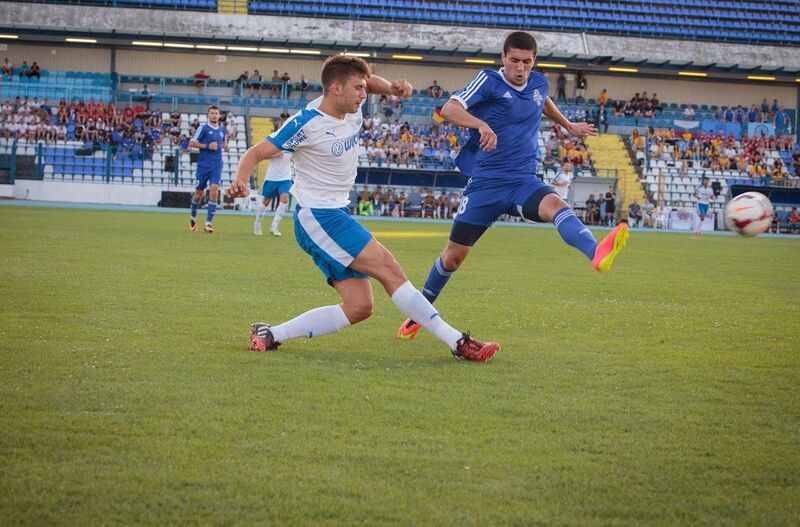 The 2015 EUSA Football event hosted 21 teams from 19 Universities from 12 countries. In men’s finals, the title of champions went to the University of Bochum (GER), after winning the against the Kuban State University (RUS) – but only after extension and penalty kicks with result 4:2. 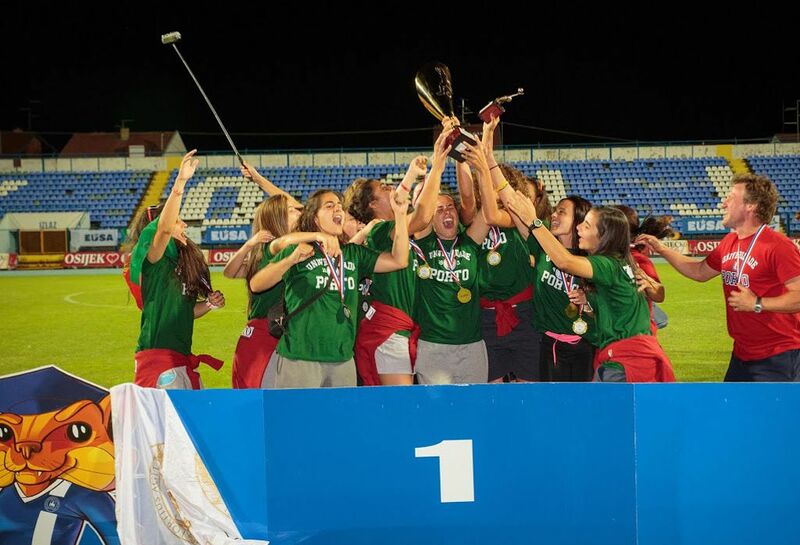 In women’s finals, the title of champions went to the University of Porto (POR), not only conquering the Ural Federal University, but also managing to collect all 16 points, winning all the matches. Medals and awards were presented by the Student Commission Chair and Executive Committee Member of the European University Sports Association (EUSA) Mr Bruno Barracosa, President of the Organising Committee Mr Drago Zagar, Vice-President of the Croatian Academic Sports Federation (CASF) and EUSA Executive Committee Member Mr Haris Pavletic, as well as the EUSA Technical delegates Mr Antonis Petrou and Mr Andreas Demetriou. 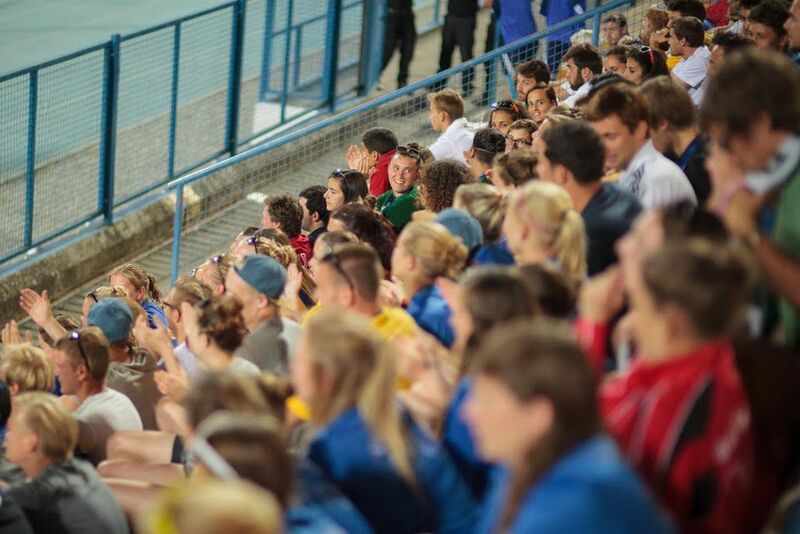 The next European Universities Football Championship will take place in July 2017 in Porto, Portugal, and the next EUSA sporting event featuring football will be the 3rd European Universities Games Zagreb-Rijeka 2016.